Born on August 8, 1937 at the family home in Perris, CA, Lydia went to be with the Lord on June 4, 2018 in Hemet, CA. 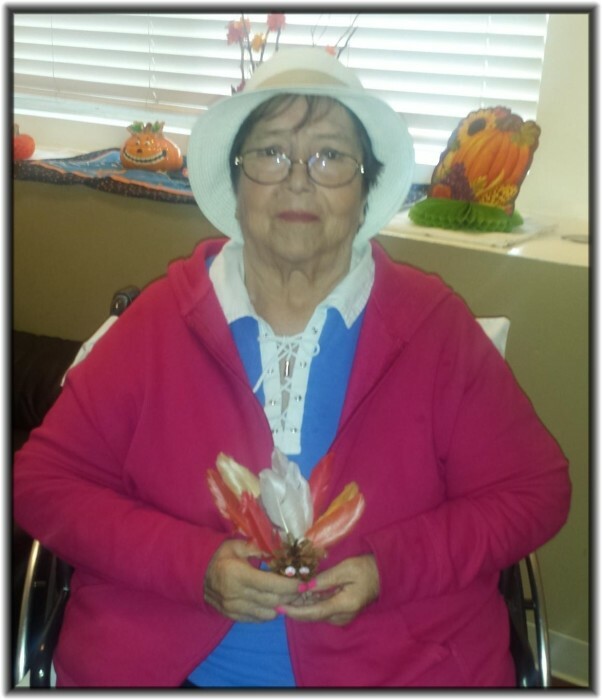 Lydia passed away at the age of 80 years old in Hemet, surrounded by her loved ones. She was the last surviving child of Marcelino and Maria Villegas of Perris, CA. She was preceded in death by a sister, Casimira Cabrera and five brothers, Musio, Cesario, Joe, Alfonso and Eddie Villegas. She is survived by her children Victoria Mendoza Maldonado, Phillip Mendoza of Hemet, and Lydia Mendoza Jr. of Tennessee, three grandsons, Jose and Ricardo Maldonado and Gabriel Arana. She has a great-granddaughter Henazhi Medina, and numerous nieces and nephews. I want to thank the staff at Meadowbrook Health Care Center for the loving care they gave her for the 5 years she was there. They made her feel at home and loved, and she loved them all in return.